From a business manager’s perspective, successful results are achievable if a common objective and key performances are made clear across the organization. Marketing data analytics is one of the core competencies for data-influenced companies and play an effective role in connecting business objectives with consumer behavior’s data. The main purpose of organizations to create a marketing analytics strategy is all about how to drive smarter questions, which will elicit thoughtful answers using the accessible data. Unfortunately, many stakeholders still tend to see marketing analytics as a way to measure the spending and marketing performance. That’s considered as a limit view of the data analytics capabilities. 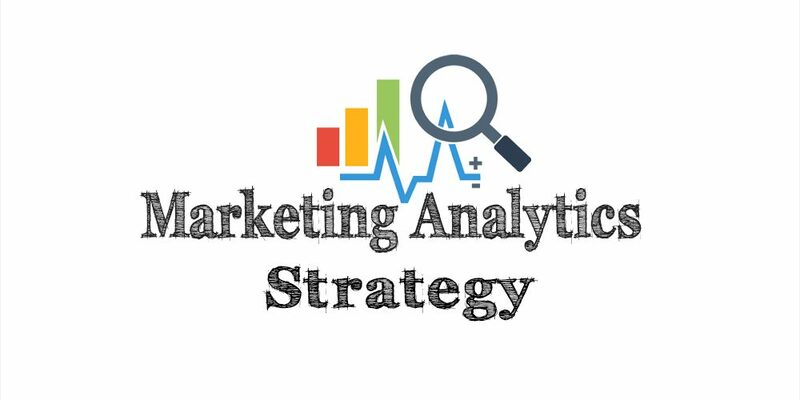 The marketing analytics strategy main objective is to maximize the use of data to create a form of data-influenced actions that are aligned with the business objectives and effective on the long-term strategic advantage. If I could highlight the most important fact about marketing analytics, I would definitely say that the best strategy to follow starts with a sharp focus on the objectives. To get a better understand, let’s start with some common situations. Businesses would say that they know their marketing objectives clearly, But Ehm!.. Not true. Once you investigate more with their situation, you will soon discover that those generic needs they have to be analyzed using the data. Structured data and insights are not always ready and available. To build strategy you sometimes need to assist the company with their data aggregation and analytics. Inside companies, the marketing departments are usually under the pressure of proving their performance results or struggling with 60 dense analytic charts and slides which is hard for senior management to understand a fraction of it. When you are facing such realities, it is about time to start searching for a better understanding of the data role in your organization. First, we have to stat the fact that reports, slides, and charts generated by marketing analysts shouldn’t be for the sake of providing results. Results are not the key. When you are facing a gap in your performance, it is about time to start searching for a proper strategy which can help you to move from the phase of looking at results to the phase of understanding why these results are like this. The toughest lesson I did learn about data that it is not just made of numbers and figures. If you don’t analyze the data properly, you will not be able to get an accurate action. In a data-driven world, a piece of metric can bring a major shift in your consumer journey if you are able to measure it in relation to another metric. Describing the business objective as customer-centric doesn’t only require investing more money in product and customer relation while paying less attention to the real-time analytics. Marketing analytics is the playing an essential role in understanding the client behavior and interaction with the brand and the services provided. Find out the objectives of your marketing analytics strategy and understand the role of it before you try to shift your business into data-influenced. The first questions, while you are navigating your metrics, should be: If I have a higher rate on this metric would it impact the business objectives? Does the higher engagement rate on social media increase the website conversion rate? The metrics and dimensions should be selected based on the business objectives. Marketing professionals should translate the business objectives into a set of effective KPIs. Each KPI should be based on a set of relevant metrics and data insights. You have to remember that chasing all metrics will always result in a huge waste of efforts and confusion in your daily or weekly tracking. What’s the difference between a metric and KPI? KPIs are measurable values that are created by senior managers to achieve business objectives. Metrics are the moving status variables to track a specific business process. All companies need to track profit is an essential KPI which might include website conversion, orders, monthly active users, and retention. Each KPI could have a strategic value for the organization such as market acquisition and CLV. Eventually, the number of KPIs might increase from top to bottom when you set your marketing strategy. The CEO might have a set of KPIs which requires marketing to generate multiple additional KPIs. When those numbers grow bigger than your capacity and you find yourself experiencing data overload, then you will need to identify only the relevant metrics. Targets are not easy to set, but once you do have a clear understanding of what are the indicators of success and failure, you will be able to identify your right targets. Building an enhanced analysis for marketing is all about eliminating the irrelevant matters and focusing on the critical view. See the target clearly before you set a KPI. By using the forecasting models, past performance, and competitive analysis the targets are easy to distinguish. Don’t set your KPIs without having preassigned targets. In any common situation, the stakeholders would always struggle with understanding the KPIs that doesn’t have a clear target. If you don’t have a target supported by figures, you will end up chasing the impossible. Remember that not all professionals will be happy with assigned targets. It is important to always use the analytics effectively to prove the accuracy of your target figures. Make sure you always assist your targets with industry benchmarks and forecasting indicators. 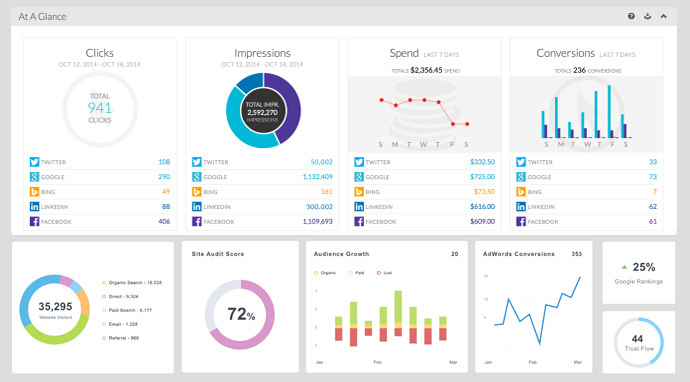 Your marketing dashboard is your home. It should be familiar (uncomplicated), tight and present your main needs. Build a dashboard that takes no longer than minutes to read and include the main KPIs you need to monitor. Use data visualization to illustrate the data correlation effectively. Visual KPIs Tracking: KPI tracking should be visualized with average rates over a periodical timeline. Set Data Deviations: Using 3 standard deviations to generate your rates. (According to researchers, 99.7 percent data distribution lie within three standard deviations). Reliability and Accuracy: Your dashboard should have accurate clean data. Connect real-time data and reliable data connections to get an up-to-date view of your marketing activities. Customization and flexibility: Adjust your dashboard according to your strategy and don’t use static settings for timelines and data validation. Finally, you need always to be able to identify your performance top layer accurately and clearly. Marketing dashboard can help you to provide a transparent overview for the business stakeholders and clients and can decrease the amount used for reporting. If all the previous strategies fail, then I advise you to try this strategy. It is not an easy one because it’ll demand that you are truly expert in marketing analysis. You might think that senior management and client want data but that’s not accurate. They pretend that data is important for them but at the end, they are only looking at results. That’s how the business world works. Therefore, I believe you should focus on telling the story not showing the tables and relations. There are useful ways to get this done by adding some context to your dashboard and extracted reports. List a set of clarifications to the metrics such as: What influenced this metric? why these rates changed? what is the set of actions taken? Learn how to tell a story instead of reporting data. This will require you to have an effective understanding of the organization and the client motivations. Avoid going outside the track and showing irrelevant metrics or you will lose your case at the first meeting. Remember that you will need few rounds to be able to play this game effectively and expand their knowledge about the analytics. Once they will see the relation “the context” they ask for actions. That’s the time for you to show the actions slides and win the meeting. It is totally normal that business managers will be always doubting and pushing on the marketing to show more growth. The best approach for marketers is to always have their analytics clean, accurate and telling a story. Showing reports for the sake of flooding the table with many charts will always lead the marketing to an uncertain path while inserting context will lead managers to shift their focus from the numbers to the insights. Conclusion: If you find yourself stuck with showing your performance in the proper way, try these strategies. If this doesn’t work then take a deep breath and try to understand where is the gap. Marketing analytics strategy is not straightforward practices and it will always require time, testing and flexibility in implementation. Work on each data source and fix your reports one by one. Give it a shout and remember that finding the insights is more important than the data. Finally, if your company is not a data-driven and data-influenced then I believe that you will change it with your tactics. Please share your ideas and theories via comments or contact me for marketing analytics consulting.